I’m Sorry, but I had to get some thoughts about sponsorships off of my chest. I think it matters who’s sponsoring organizations and events. You may disagree but if you do I’d ask you where you draw the line? Which companies or products do you think would be inappropriate to have as sponsors for activities your son or daughter are involved in? In this episode I talk to Scott Moody of Soccer FIT about his recent blog post about the most overlooked aspect of skill development. It’s a post that peaked my interest so I thought that it would be a topic that a lot of coaches would be interested in. 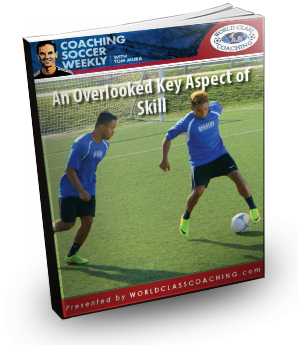 We talk about how the physical and technical side of skill are connected as well as the elements of physical skill that coaches should be training and the mistakes to look for in your players. We finished off with suggestions for where to start today to begin to improve your player’s physical skills. 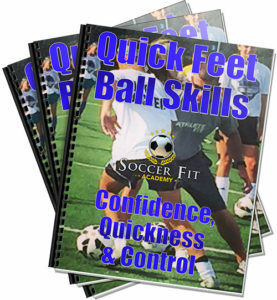 I highly recommend this Quick Feet Ball Skills eBook. 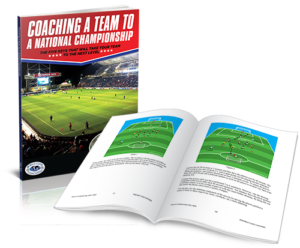 It’s complete with videos showing the exercises and will help your players to develop a foundation of physical skills that will carry over into their technical development. If you’d like to learn more about the eBook and videos you can CLICK HERE. 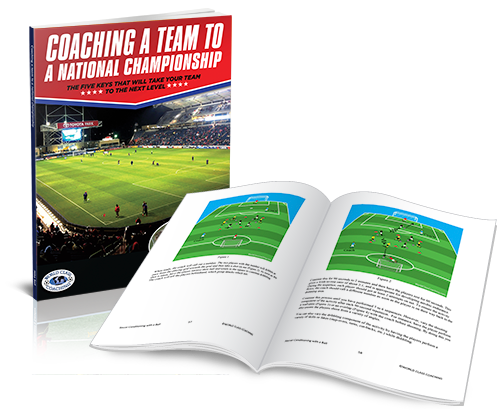 Mike Saif is finished with his book, ‘Coaching a Team to a National Championship’. It’s due out in October so look for more information on that in the coming weeks. Coaching young players is not the same as coaching adults. The way you motivate them, organize the team and the tactics are completely different. Understanding these differences and how to harness them is the key to success in youth soccer. Mike built a youth team from scratch that was the first in Kansas to win a US youth soccer championship. His U14 girls KC Dynamos, made up of players he coached since age 7, won 22 games from 24, scored 92 goals and kept 22 shutouts in a season long run to the championship. In Coaching a Youth Team to Win, Mike shares all of his secrets on how he did it. This includes his youth team tactics, training philosophy and how he gave his young players the winning mindset that led to their dominance. If you’re a youth coach, there are few better blueprints on how to build a team of youth national champions. The book will be available later in October. We’ll bring you more details as the release date draws nearer. I’ll talk about what to do when a training session just isn’t working. It’s something every coach experiences so I’ll give you what to look for and what to change that can help get your players back on track so that you can have a productive practice.